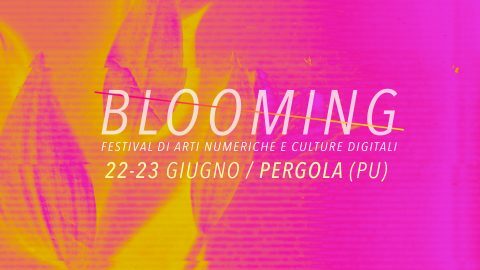 Blooming Festival is back to transform for two days the historic center of Pergola (IT) with the digital arts! Blooming is a widespread event, consisting in interactive installations, video art, soundscapes, light art, mapping, audio-video live performances in ancient churches and cellars that are usually closed, or open only on rare occasions. The contrast between the old sites that host knowledge and tradition, and the innovative and contemporary digital arts, offers a positive vision of a self regenerating culture that evolves towards the future, through an impressive reinterpretation of the locations and the direct involvement of citizens and visitors. Aperitivo – music // from afternoon to midnight! h.02:00 // good night and thanks a lot, see you next year!! !